We are passionate about helping the elderly. Here at The Grateful Society, we love to be honest and open about where your donation goes, and how it makes a massive difference to older peoples lives. We work with a number of organisations across Bristol and the wider region, offering support to older people most in need. I am honoured and delighted to be following David Powell, and indeed all the previous presidents of the Grateful Society who have contributed so much to the well-being of older people in Bristol and the surrounding area over many years. When initially asked to become President I thought that I had a good insight into the work of the Society within the community. 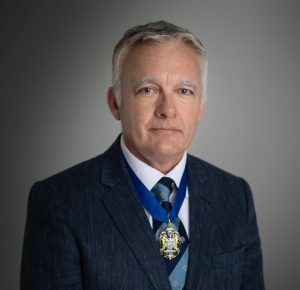 The last twelve months serving as President Elect to David has opened my eyes to the fact that in reality I had very little knowledge about the way in which the funds that the Society collects are utilised. We have tried to provide an insight within this site to the types of organisations which are helped by the grants provided by the Grateful Society. As a general principle we are keen to provide seed funding to organisations to enable them to establish themselves and grow. The recipients of the grants are all incredibly appreciative and in some cases the money provided is absolutely essential to the continuance of the activities which the charities concerned are providing. There is no doubt that the public purse is shrinking when it comes to the elderly and the provision of care and help to ensure that our senior citizens can grow old with dignity and with a few small comforts is under ever greater pressure. The day centres that the Grateful supports are all fine examples of what can be achieved with relatively little funding. The participants are able to engage with other human beings in a warm and safe environment. This basic principle is taken for granted by many of us but a few moments spent talking to a selection of the many volunteers made me realise that for some it is a real privilege. The alleviation of loneliness is a key theme for the Grateful Society and is at the heart of what we do. I am hoping to visit many of the centres which we support throughout my year to hear at ground level what we can do to continue to provide help where it is most needed. Those experiences will be shared through this site from time to time. The three societies are all independent and all work hard to raise monies and ensure that they continue to support various good causes involving the elderly in and around the Bristol area.